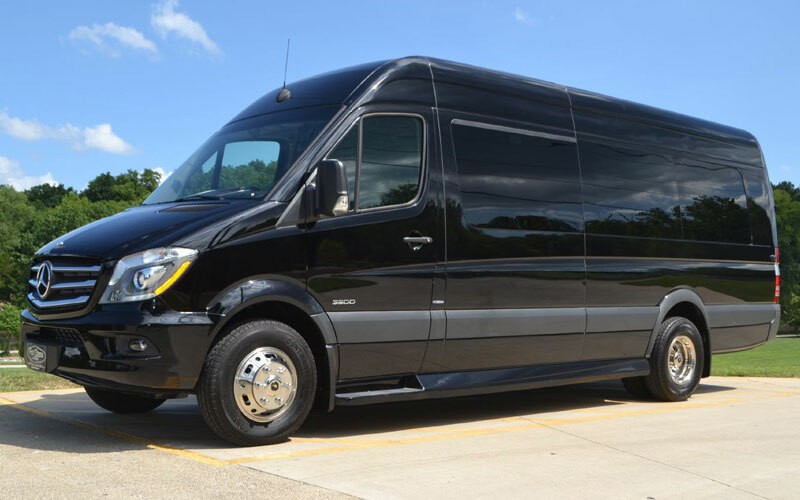 The Mercedes-Benz Sprinter Passenger Coach is the ultimate way to shuttle people around in ultimate comfort and safety. 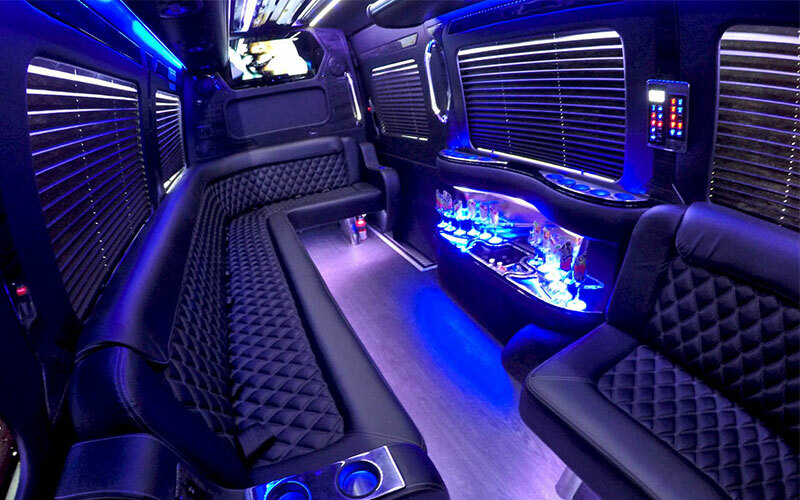 Its inviting interior can fit 12 adult-sized passengers. It also features Best-In-Class step-in heights, a wide entry, and spacious ceilings. 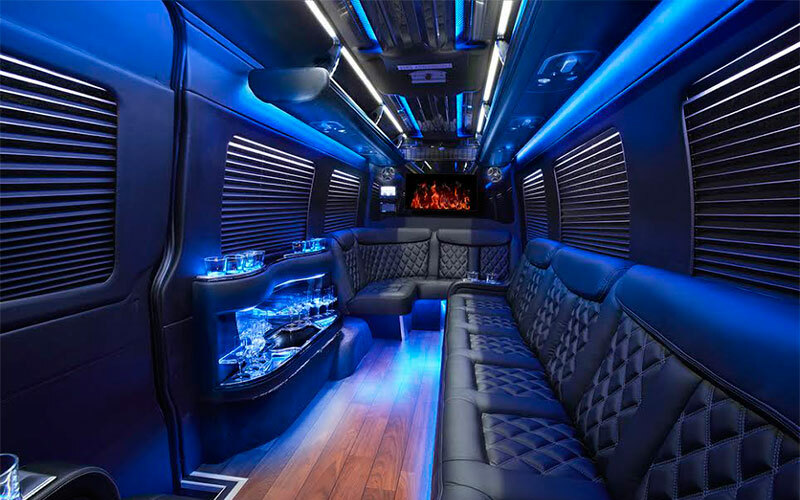 The Mercedes-Benz Sprinter Passenger Coach features a USB and a 12 volt port in each chair as well as a full-sized flat screen TV. 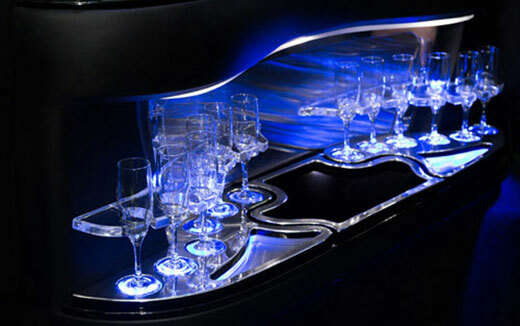 It also includes mood lighting, non-slip wood floors, double-stitched leather seating, custom luggage racks with blue accent lights, a DVD player, multicolored bar lighting, ice cooler, bottle chiller, and drink glasses.